Looking for the Best Floor Sanders in Whangarei & Northland? We have just returned from up North and the floors look amazing! We are so pleased with your efforts! Thankyou for the wonderful job you have undertaken there - I don't have a clue how you managed those tiles but great job! I'm so pleased we went with your experience and know-how - great job. Thank you for the great job you did! 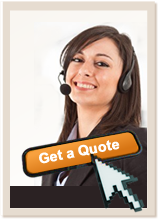 Thank you for sticking to your quote price. Thanks for a top job, the floors look great! Thanks for the wonderful job you did. Many glowing compliments from people. Thanks for the floorsanding job. It looks great, better than I expected! Thank you for the terrific job on our floors. We are very happy with the outstanding job which you and your colleague did. If at any time in the future we have more work on our floors, we will be contacting you. Thanks for an outstanding job. Many thanks for a job well done. The floor looks beautiful. I will certainly recommend your company to my friends. Thankyou, the floor looks great and we are very pleased with the finish. Thanks for the great job done. The floors are all finished and look great.